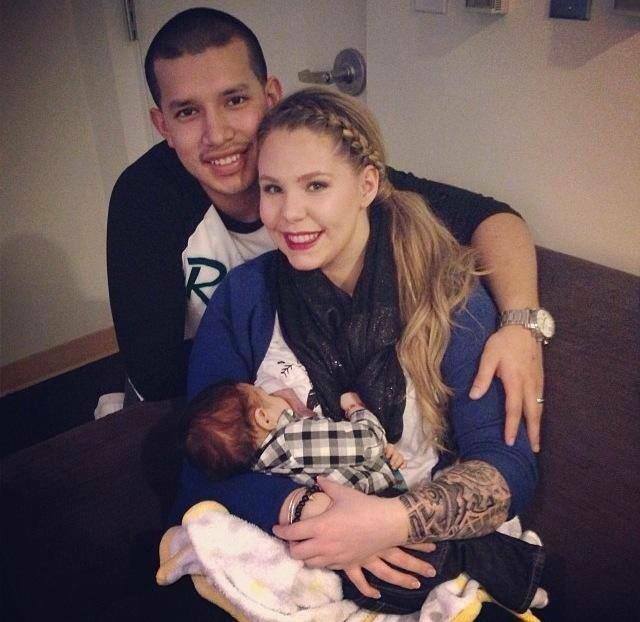 Kailyn Lowry Breast Feeding Advocate! Kailyn Lowry proudly shared a couple of photos on social media of her breastfeeding in public areas. It’s sad to say that the photos caused controversy among Teen Mom fans. Whether it was intentional or not the photos normalize breastfeeding which is a good thing! Too many young mothers are ashamed to breastfeed in public or even at all, when really it’s what you are supposed to do. Some women show way more at the beach (and some teen moms show it ALL) so what’s so wrong with showing a small patch of skin while feeding your precious child? Kailyn had to defend her photos on twitter saying: “This girl really just said she doesn’t like to see anyone breastfeeding in public. Like what? Do you cover your face while your eating? ?” What are your thoughts on breastfeeding in public? Next Next post: Farrah Abraham SLAMS Jenelle Evans! I brestfeed my baby. I support you. Good on you girl. I’m breastfeeding but I do cover up when I’m feeding in public just cause I don’t want to make people feel uncomfortable and I am big busted so can never really hide it with babies head but my daughter hates being covered up so may just take your advise and stop doing it. Plus she always pulls it off anyway. Good for you Kailyn! breastfeeding is the best thing for your child! and the most wonderful bonding experience! being a young mom with two under two i didn’t have time to cover up and nurse i was usually nursing and chasing my toddler. my thought on it is its natural and if you don’t like it’s most likely because your not a mother, were told by somebody that its yucky or your ignorant to it, or your just guilty because you fed your kids powdered crap and regret your decision!